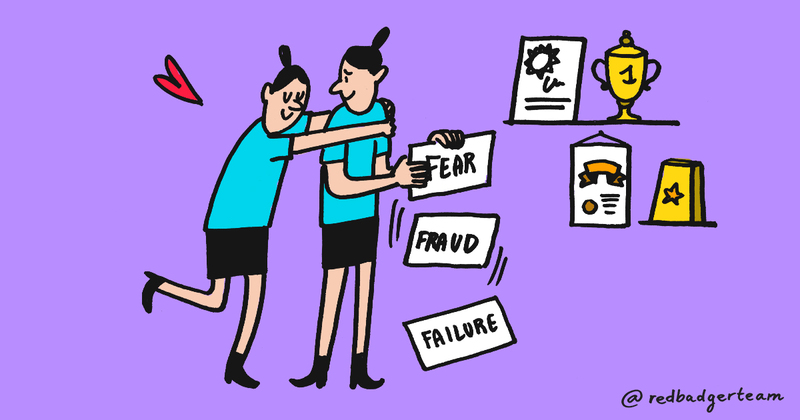 We’ve all heard about impostor syndrome, the likelihood is that you have it, the fact that you’re reading this I would suggest makes it even more probable, after all around 70% of us do. Impostor syndrome doesn’t discriminate, it affects people at all levels and across industries, including Mike Cannon-Brookes: founder of Atlassian, Natalie Portman: everyone’s favourite adolescent assassin in training, Neil Armstrong, Serena Williams, Neil Gaiman, and most probably someone sitting on the same bank of desks as you right now. In essence, it’s everywhere, feeling this is ordinary. With that knowledge shouldn’t it negate itself? Surely the knowledge that the vast majority of people also feel like this, that we are part of an ocean of self-labelled impostors means that all the bad things that come along with it; the fear of failure, the anxiety of being “found out”, the attribution of achievements to luck or outside influence, these should all cancel themselves out. A phenomenon which is driven by the characteristic that the sufferer feels alone, cannot be valid if that same sufferer is surrounded by others feeling the very same thing. Nevertheless, for some reason, these rationalisations haven’t eradicated the issue, and we find ourselves in this far from unique but isolating situation. While we may not be able to agree that the thoughts we are having are invalid, we can certainly agree on one thing: impostor syndrome is a bad thing. Living with daily reminders from your subconscious that you are not as good as your colleagues, having to find the drive within you to turn up and do whatever it is that you don’t believe you are cut out for, is a draining and demoralising situation, the knock on effects of which can be devastating to our mental health. Yet the great thing about the feeling of not being good enough, is that 100% of the time, you want to be better. So take that, and run with it. Make yourself better. Feel like you don’t know enough? Carve yourself out half an hour every day to learn more. Feel like your skills aren’t at the level they should be? Start a side project to help you hone those you already have. Feel like you’re in a position you should never have been put it? Why not take advantage of it, use the benefits at your disposal, watch your colleagues, take the opportunity you have to learn from them. Maybe you’re already doing these things, then take a step back and have a look. These things you’re doing, motivated by your fear, are what makes you the thing that you think you are not. After all, what do you think makes you different from the people that you consider legit? Do those people stop learning? Do you think they reach a level of skill and then feel that they no longer have any need for improvement? Absolutely not. Do they work hard? Do they periodically take stock and look at where they need to improve? Of course. The fact of that matter is that success is not the cure for impostor syndrome, and so if it might never go away, why not make it your friend, and use its qualities to keep yourself sharp. It may even be a good thing.